Rubi dry cut diamond tile drill bits - no water required! 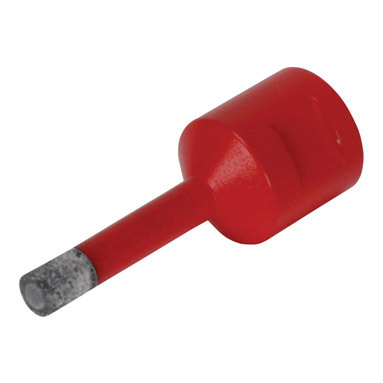 8mm (5/16") tile drill bit. For drilling dry into tiles, including porcelain tiles, and stoneware. For use with an angle grinder (direct connection) or electric drill (adaptor ref: RT-05976 required). Maximum operating speed 14,000 RPM. For best results apply minimal pressure - let the tool do the work! Expect to drill 15-20 holes in porcelain tiles if used correctly - around 1 minute per hole.